It’s official! I bought my first Christmas gift of the year! It seems like I always end up cramming all my holiday shopping into the last two weeks before Christmas, and this year I’m trying (keyword being TRYING) to get it all finished early. I’d rather enjoy the weeks before Christmas baking cookies and decorating the house instead of fighting the crowds to get that last toy on the shelf. That’s what the holidays should be about anyway! I love to give DIY gifts like homemade candies or handmade blankets to my friends and family, but getting all those gifts finished before December 25th arrives is not easy! 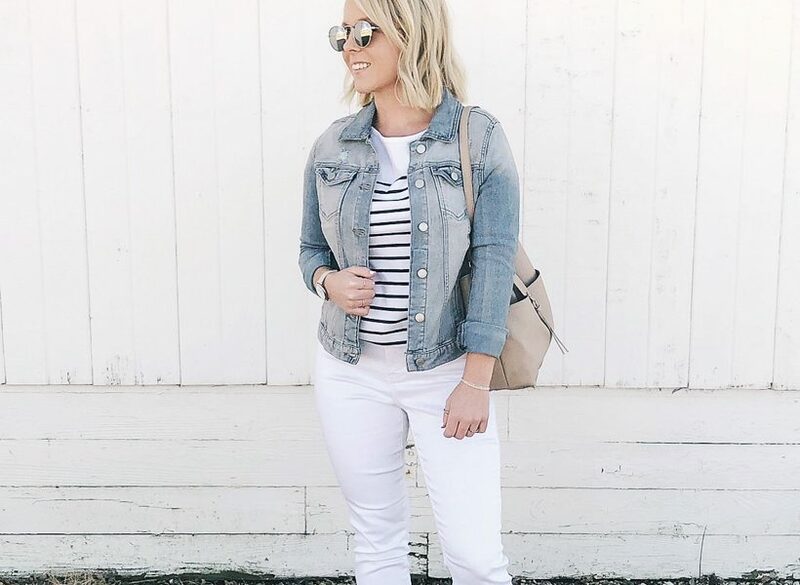 So to help me plan and organize my gift list, I’ve created a Pinterest board where I can dump all kinds of ideas for projects, recipes, or just things that inspire me. 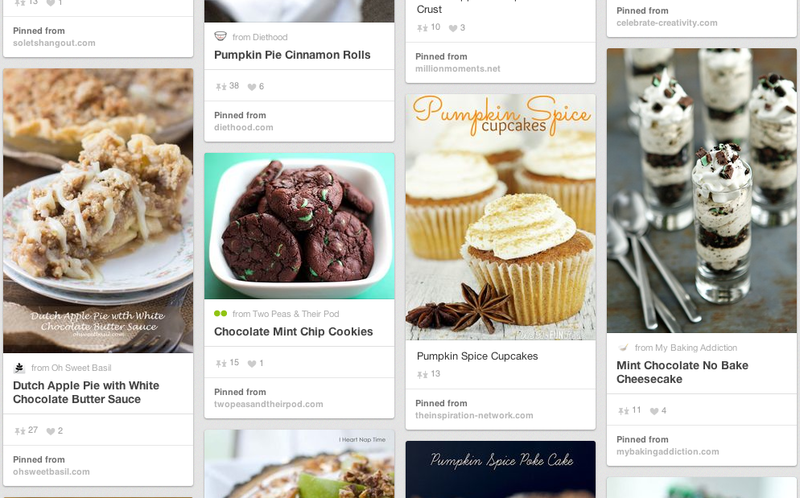 This year, I’m going with a “holiday flavors” theme… Anything I find with pumpkin, apple, or mint gets pinned right onto my Flavorful Holiday Ideas board! You can follow my Flavorful Holiday Ideas board too! Click here! 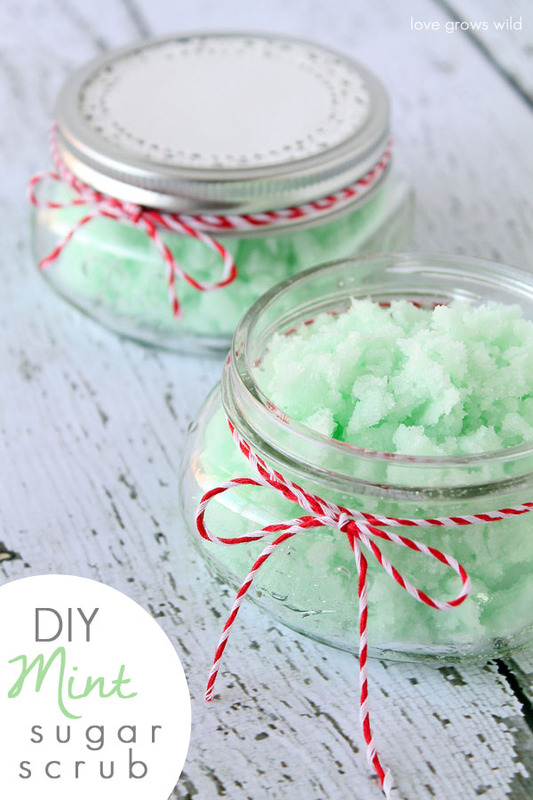 I’ve always wanted to try making my own beauty products, and the other day I mixed up a homemade mint sugar scrub that turned out fantastic! I had no idea it was so easy to make and it smells absolutely amazing! You only need a few simple ingredients to make a basic sugar scrub: your oil of choice (I used coconut), sugar, and an oil extract to scent your scrub. 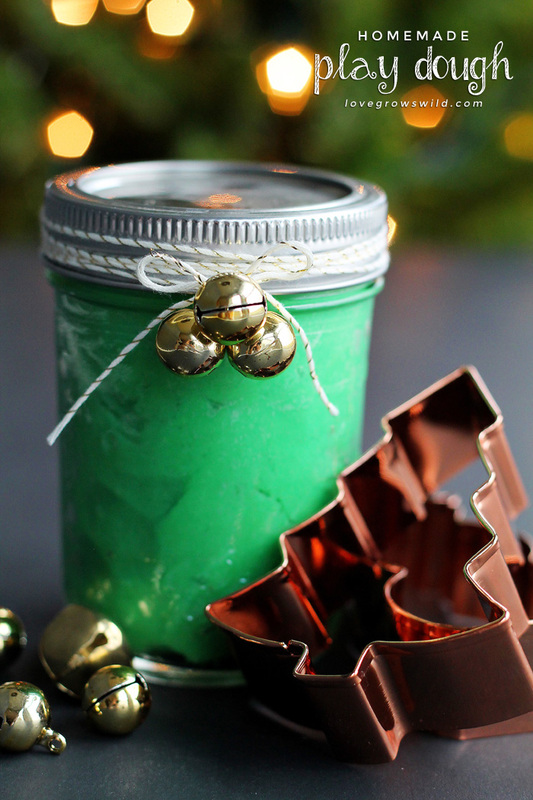 I was inspired by the all the “mint” ideas from my pin board, so I added some peppermint extract and a drop of green food coloring to give it that lovely minty-green look. I just adore the color mint green! I swear SOMEDAY I’m going to finally makeover my master bedroom using mint and navy. That color combo is my fave! I have only recently learned about the wonders of coconut oil… Have you ever used it? My younger sister, Kristi, has become a health nut in recent years, (I WISH I could be her!) and she uses it for all sorts of things. 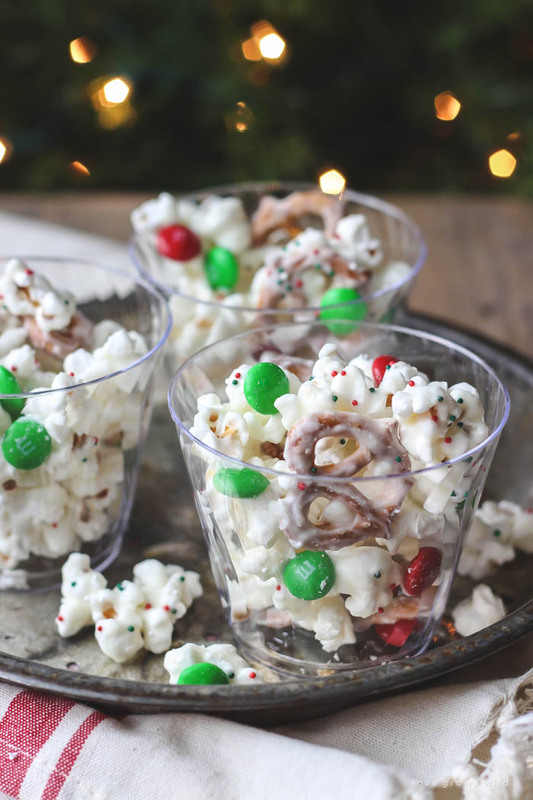 One of which is a RIDICULOUSLY yummy popcorn recipe that I will have to share with you some day! Remind me to steal that recipe from her when I see her on Thanksgiving, mmkay? I wasn’t sure exactly where I’d be able to find coconut oil, but I spotted it right next to all the other oils in the baking section at my local grocery store. At room temperature coconut oil is solid, so I just microwaved some of the oil in a bowl until it softened, which only took about 15-25 seconds. Then I added the sugar, peppermint extract, and green food coloring and mixed it all together until I had a moist, minty-green sugar scrub! You can make your scrub with whatever ratio of ingredients you like, but I like mine to be a bit on the coarser side rather than oily, so it exfoliates really well. If your scrub is too dry, add more coconut oil. If your scrub is too wet, add more sugar. Make it however you prefer! Looking for more holiday ideas? Spice up your fall and warm up your winter with new Dunkin’ Donuts® seasonal coffee flavors. Enjoy a steamy mug of delicious Dunkin’ Donuts® coffee now available in three new seasonal coffee flavors. Kick your day up a notch with the sweet and spicy flavor of Pumpkin Spice, satisfy your sweet tooth with the flavor of Mocha Mint or enjoy the fresh baked tasted of warm Apple Pie – in a cup! Visit http://www.dunkinathome.com/dunkin-coffees/seasonal-coffee for more information. Pumpkin Pie Spice sounds amazing! What fun! And the green and pink would be super cute too! This looks amazing! I can’t wait to give it a try. Thanks for the detailed post and instructions! Liz how long does this keep? If I do it now will it still be the same consistency by Xmas? Hi Peggy! I’ve been using a batch I made for myself for a couple weeks now, and it is still just fine. The coconut oil does change consistency once it cools, but it still works perfectly! I’d say you’d be just fine to go ahead and make some now for Christmas. It makes such a wonderful gift! Is this used as a body or facial scrub (or both)? I love this idea and want to give it as gifts to my gals. Thanks for the idea! You’re so welcome, Karen! I’d probably only use it as a body scrub. 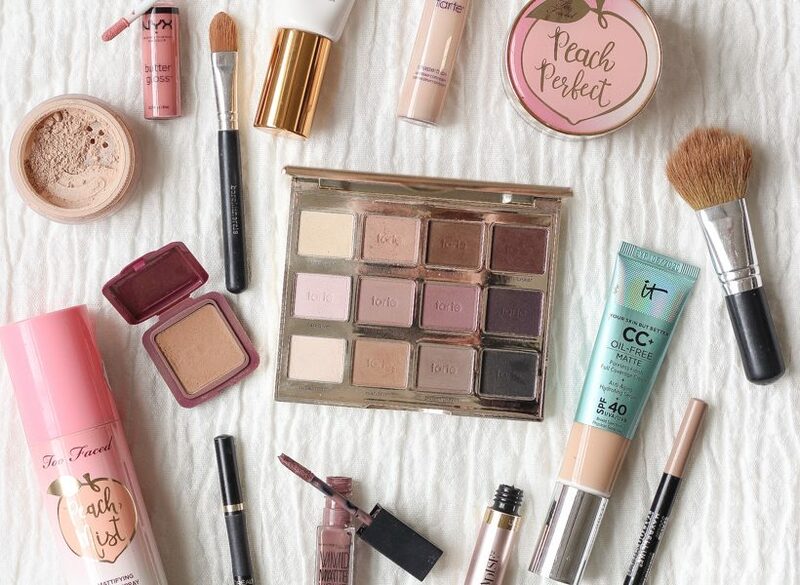 Facial skin is more sensitive (or at least mine is), so I only use it on my body. Thanks for the great question! where did you buy the jars? Hi Deb! I can’t remember exactly which store these jars came from, but I know they are sold at most grocery stores, Walmart, etc. It’s Ball brand. 🙂 You can always shop the Ball website too, if you need a specific size that you can’t find! Hope this helps! 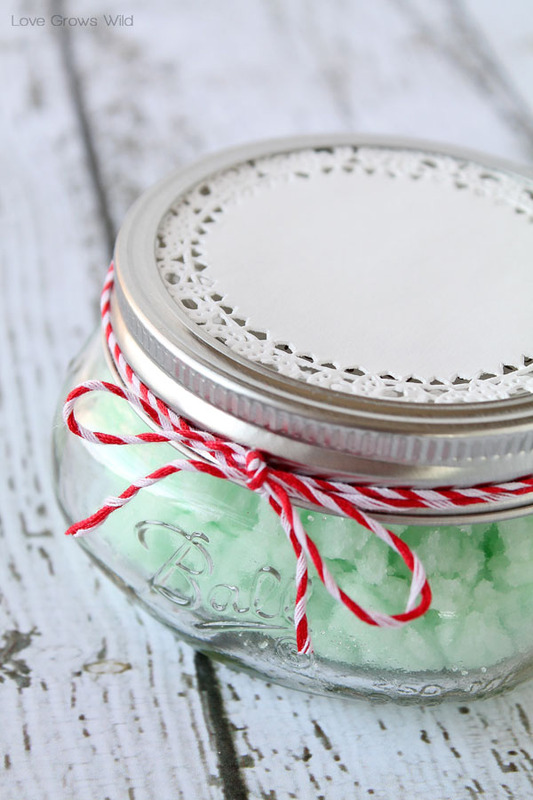 The recipe for Mint Sugar Scrub – how much does your recipe make? Enough for how many of the size jars you show in the photo? Hi Marel! Depending on how much sugar you use, it be about 1 1/2 – 2 cups of the scrub. The jars in the photo are small, so it would probably fill a few more than what you see in the photos! Hi! I think this is adorable, but would the skin turn green from the food coloring? Hi Jessica! It uses such a tiny amount of food coloring that I haven’t had any problem with that happening. You could always leave it uncolored if you’re worried about that though! Thanks so much for stopping by! Thanks for posting this! 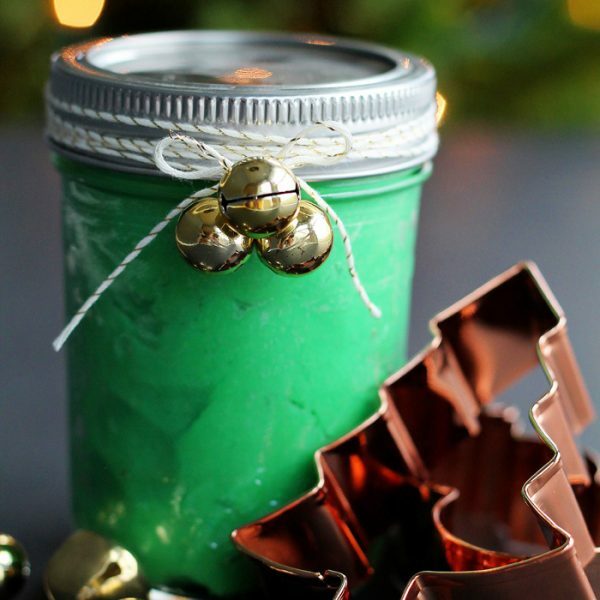 It looks like a fun gift idea…I will be trying this soon! Hi Kyla! I was able to fill 3 half pint mason jars with this recipe. Hope this helps! Thanks for stopping by! Made this today for a gift. So pretty! I gave my daughter some and she added two drops of red coloring, and sort of semi-combined it so that it looks like a candy cane scrub! For Laurynk who had trouble with an alcohol smell. Try using a natural essential oil like Aura Cacia. There are also natural food dyes too. Just made this after pinning it yesterday! It is really wonderful! I am making jars of it for all of my coworkers! Thank you for this great idea! That’s wonderful, Wendy! I’m so happy to hear that you enjoyed it! Your coworkers will all be so surprised. Thanks so much for stopping by to let me know! Happy holidays! Hello Liz! 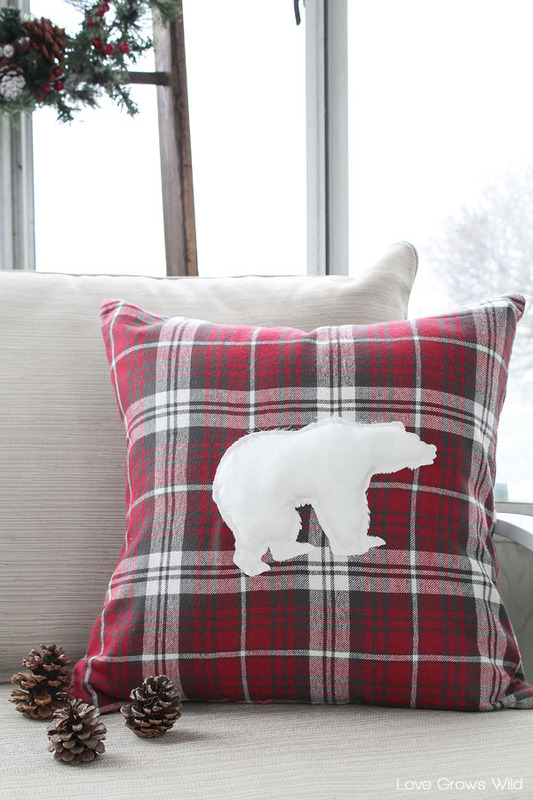 Im making these for my friends for christmas and wanted to blog about it. This is such a great idea! I was wondering…Did you use refined or unrefined coconut oil? Hi Kylie! 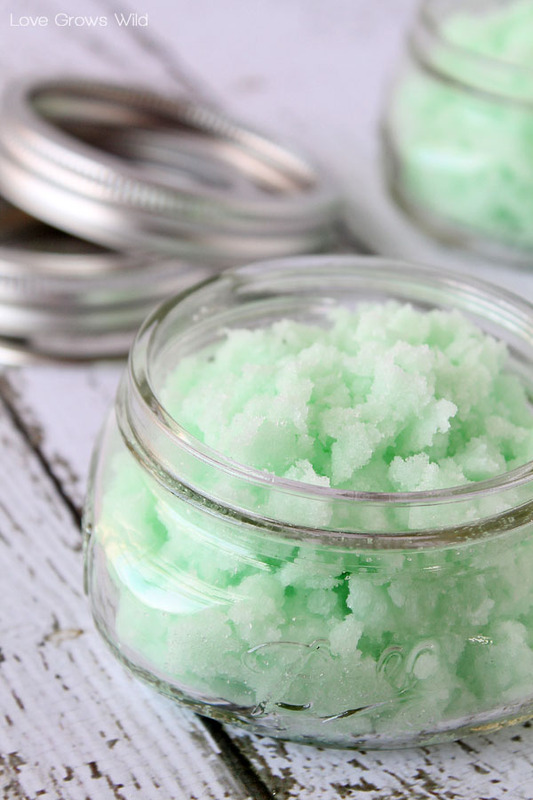 I used refined coconut oil for this sugar scrub recipe. Thanks for the great question! Hope you enjoy! Is it a 1/2 cup solid or liquid coconut oil? Great question! I measured out solid coconut oil and then melted it. Hope you enjoy! Do you think you could you use baby oil? I haven’t tried it, so I’m not sure. Baby oil will definitely have a difference consistency than coconut oil. You can find coconut oil in many stores now, if you haven’t seen it yet! Hope this helps! 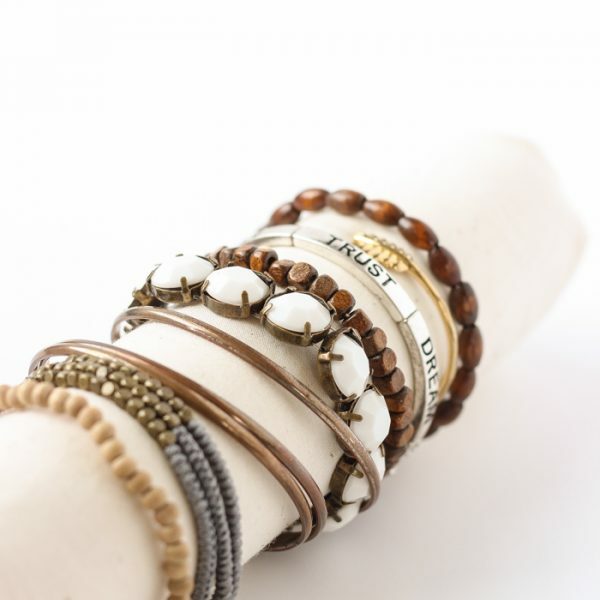 I absolutely love these for gifts…Thank you for sharing!!!!!!! If I were to use pepperment essential oil instead of pepperment extract, would I use the same amount as listed on the recipe? Hi Tanya! I haven’t tried using the peppermint essential oil, but I would imagine it doesn’t take very much to scent the scrub. I would start with a little, and go from there. You’ll have to let me know how it turns out! Hi! 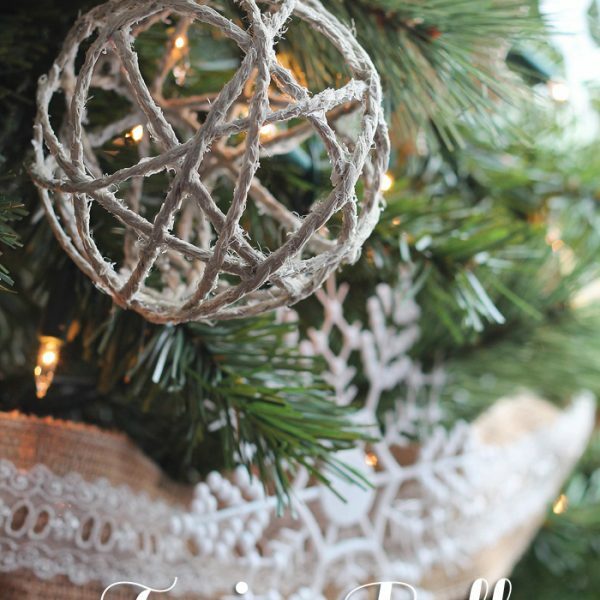 This is super cute and I am wanting to do this in ornaments for party favors. About how much does this recipe make? Thanks! Hey Maddie! What a cute idea! This recipe will make about 1 1/2 – 2 cups of the scrub. Could you substitute the coconut oil for olive oil? Hi Sarah! 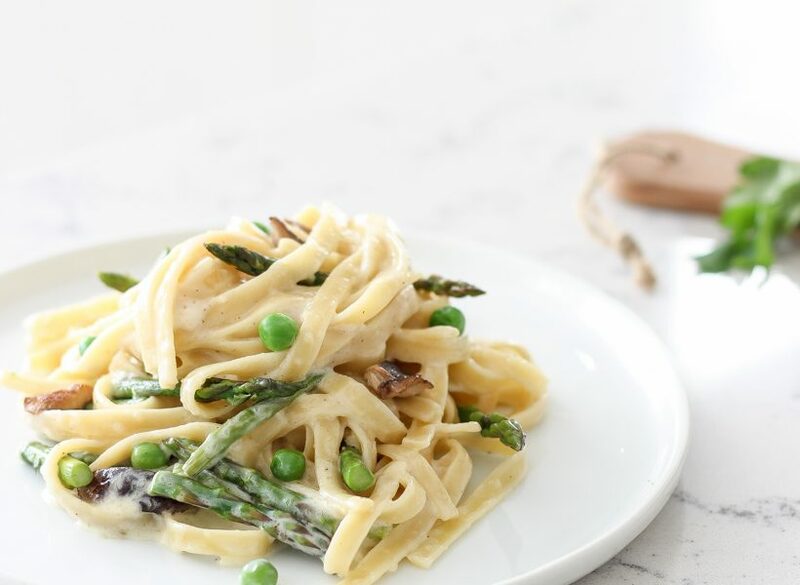 I haven’t tried using olive oil in this recipe, so I’m not sure how it would affect the consistency. If you try it, you’ll have to let me know how it turns out! 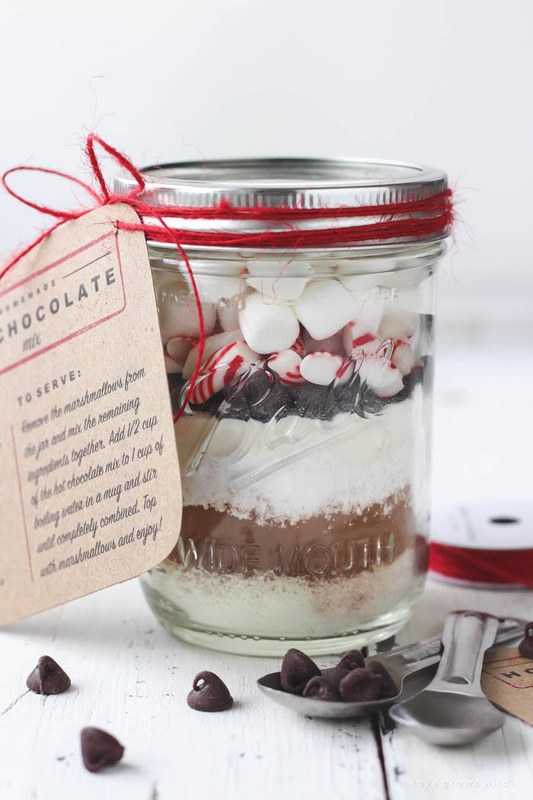 I need to make 100 of these…where did you find the jars…I haven’t been able to find them. Hey Katie! I honestly can’t remember where exactly I purchased them… I think any of the 4-8 ounce sizes would work for this though! Readers: Anyone else know where you can find this size jar?
. They are usually 50% off. That’s where I got all of mine. Hi! First off thanks for the recipe! I am wanting to try this but some of the people I am making this for have food allergies one of them being coconut. That being said, I was wondering if EVOO would work as a substitute? Thank you in advance for your time. Great question! I haven’t personally tried using olive oil in place of the coconut oil, but I believe they can be easily interchanged. The texture may be slightly different, but I think that should work just fine! You’ll have to let me know what you think when you make it. Take care! Yes, it will work fine. The olive oil will separate from sugar after sitting awhile. Just needs stirred before using. I found some small mason jars for a dollar at hobby lobby. They were 50% off. I’m going to get more! How do I get rid of the alcohol smell of the extract? I want to use as gifts, but they reek of alcohol! Hey Melissa! I had one reader suggest that mint extract will develop an alcohol smell after sitting for awhile, so you might want to make sure you’re starting with a brand new bottle of extract. I hope this helps! I made this the other day, wasn’t too impressed. All I could smell was alcohol. Maybe I was doing something wrong or used different ingredients. The coconut oil solidified and caused the scrub to be very hard. What should I do? Reading the reviews many of you are saying your scrub smells like alcohol. Mint extract does go bad and will smell like alcohol over of a period of time. Purchase a new bottle and see what happens. I am really motivated in making this for next Christmas. I have plenty of time since it will be for 2015. A coworker made this for everyone at work over a year ago. I recently ran out so I made more. I used peppermint essential oil since I had it on hand. It smells wonderful! So far I haven’t had the alcohol smell. I even gave some for my boyfriend for his hands and he is hooked! It is so easy to make. I’m excited to try different scents next time. Hi,do you know how long this scrub will last? Hey Kathy-Anne! I would say this scrub will last about 6 months or so, as long as you’re careful not to let water get into the jar. Thanks! How long would the scrub be able to last without it going bad? I would say about 6 months, although I’ve kept some of mine for longer. If you be careful not to let any water get into the jar, it should last for quite a few months! Just found your website today and can’t wait to try some of your crafty ideas. I have made your apron from the mens shirt, turned out so so cute. The best part was it only took about an hour start to finish. I’m going to Goodwill tomorrow for more shirts. Such a super idea for Christmas gifts. I am also trying the scrub as soon as i locate ingredients. Thanks for great pictures and simple instructions. 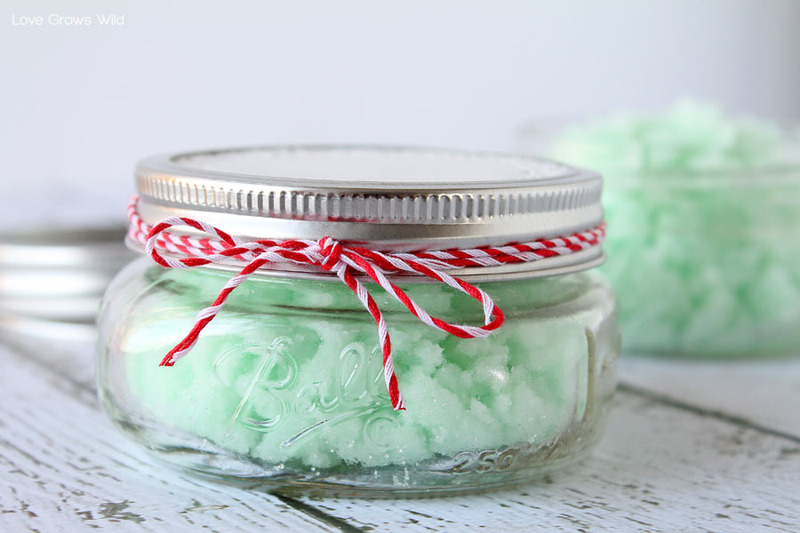 Thank you for sharing your recipe for the peppermint sugar scrub. and the print option for this recipe. I will be making this one for sure and will probably use peppermint essential oil. 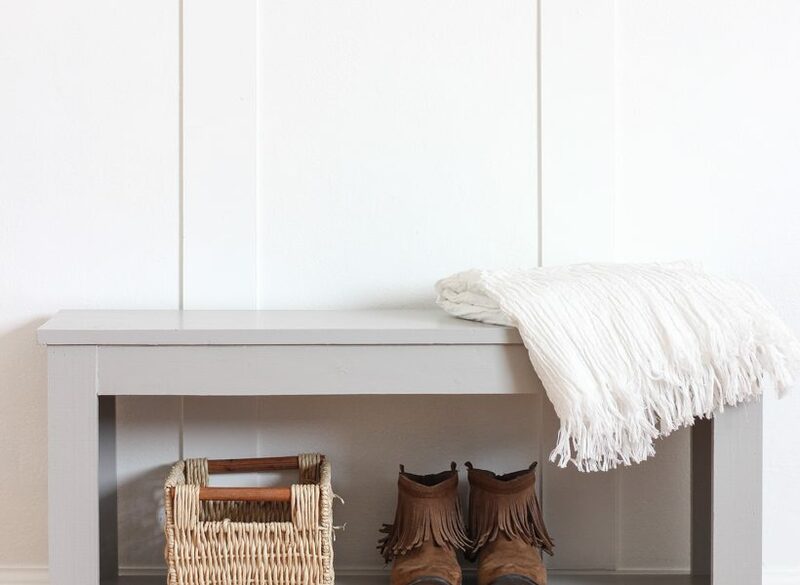 I am now following you on Pinterest, as I am always looking for good ideas. I would like to make these beautiful DIY scrubs for christmas! I would like to ask / know what type of food color did you use? Was it oil / water base? Hmm… not sure, Dennie! It was the typical dropper bottles you find in the baking section of the grocery store. 🙂 Sorry I can’t be more help! What size doilies did you use? Hello! 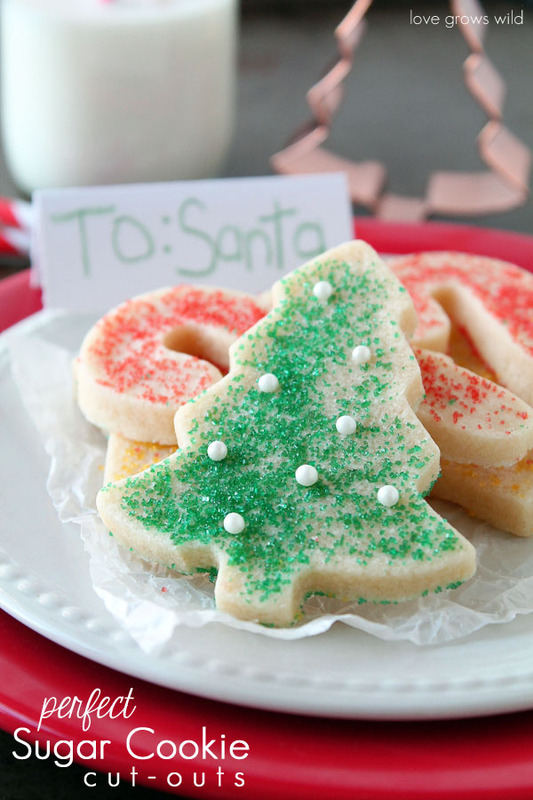 I am making these for Christmas and I would just like to know if there is a certain brand of coconut oil we should use? For instance, is the “LouAna” brand okay? I’ve used that brand before, and it works just fine! I hope you enjoy! Which of the young living essential oils did you use for the sugar scrub? I use young essental oils .Im gonna make some sugar scrub and i would imagon you could use what ever smell you like.Im gonna try lavendor. 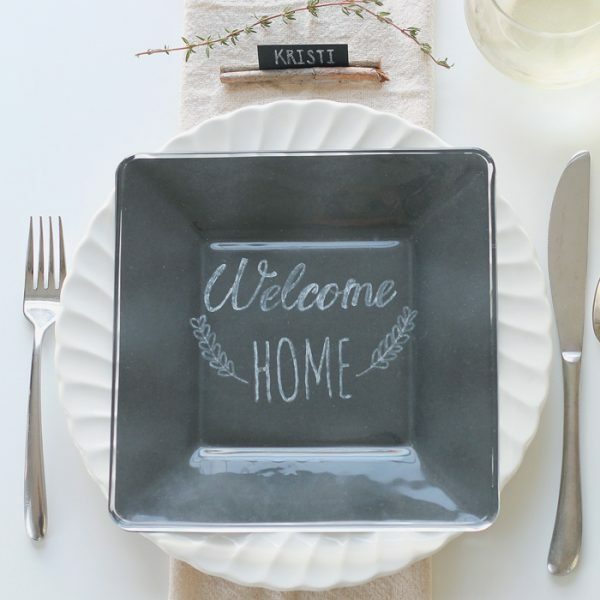 Thank you for sharing these DIY ideas!! I immediately bought coconut oil and made a sugar scrub with it! It came out so nice and was indeed ready in 5 minutes. 😀 ❤ I think the receiver of this gift will love it! Hi. I made the hot chocolate recipes/jars for my team at work and they came out great! Thank you. I would like to make the DIY Mint Sugar Scrub but do not have a microwave (4 years and going strong!) – do you think it would be okay/work by heating up the coconut oil in a sauce pan? Question, what consistency is it supposed to be? I am new to sugar scrubs and am not sure if it is supposed to be really kind thick, or a little watery. Please answer asap. Christmas is tomorrow and I need to know. Hi Angel, I apologize for not getting back to you sooner! I took a few days off for the holidays. 🙂 The sugar scrub consistency will vary depending on the temperature of the room you keep it in. When the coconut oil is warm, it turns into a liquid, but when it cools, it is more of a solid. Either way, it works well! Last night i have made this and it was really nice. I added some oil, honey and organic coconut sugar. It gives the same feeling as the sugar scrub i get from the bath and body works. The only difference is that this is less greasy. Thanks for sharing. Do you have to use solid coconut oil to begin with or can I use liquid coconut oil? What size doilies did you use?? Hello! Do the sugar granules tend to stick on your hands? I made this & it smells delicious but the sugar seems to be sticking to my hands or there seems to be too much of it. Should I just add more coconut oil? Or possibly add some vanilla extract? Thanks so much! It’s such a great idea!! !